Hello! It's been a long time. I am so happy when I get to do something sewing related these days. I hope to be able to do more of it on a steady basis. 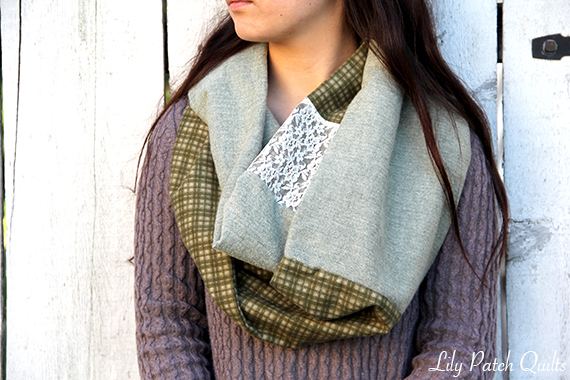 Up first is this super quick sewing project, an infinity scarf. I am not much of a scarf user but it's always satisfying to make something quick. I saw these prints and had to buy a bit of it to make this scarf. The fabrics are flannel from Maywood Studio. It's called woolie flannel and it feels so soft to the touch. Just love it! I have used other chain store flannels and would never do it again. I learned my lesson a long time ago when buying for a baby project and would never do it again. Maywood Studio's flannels have always been wonderful to use. It is nice and thick and has minimal shrinkage when washed. This is not a sewing project but has to do with clothing. 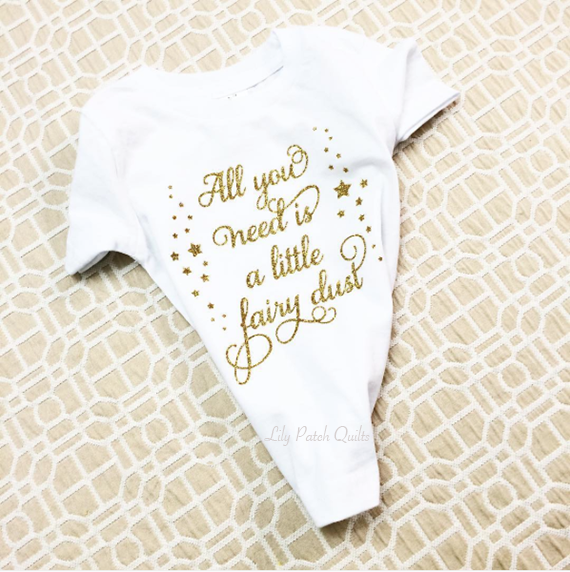 I did a custom tshirt using this small toddler size plain white tshirt. It is so pretty and glittery. Wish I have some little princess to give it to. I can see a lot of custom tshirts in the near future.